Have you been searching for a "flat tire repair near me"? If the answer is yes, you should consider contacting us for tire repair service and tire rotation service. Our certified technicians can inspect your car's tires thoroughly and quickly while helping you decide if you need any repairs or replacements. We understand that tire repair cost is always a factor to consider, which is why we strive to offer you a variety of discounts and tire rotation coupons. Speak to one of our professionals at our Decatur, GA, and Meineke #505 to learn more about our tire repair services. You know that you need your tires in good working order to drive your vehicle. So, perhaps a better question than why your tires are important is why you should maintain them before you're forced into frantically searching for "flat tire repair near me." The average car weighs over 4,000 pounds, which is a lot of weight sitting on your tires. Differences in inflation between tires causes your vehicle's weight to be distributed unevenly. Over time, that uneven weight distribution can lead to issues with your vehicle's balance, which then affects its safety and performance. Thus, following a routine rotation service is vital. You'll find such a service here at Meineke #505 in Decatur, GA.
"My tires seem a bit worn down, should I find a flat tire repair shop near me?" This is a frequently asked question, but there is no universal answer. However, there are easily observable signs that your tires may need to be replaced or repaired. For example, if your tire pressure reading is consistently low, even after replacement or inflation, you may want to consider tire pressure sensor replacement. Loss of tread, poor vehicle handling, and visible punctures are also common signs of wear and tear. Stop by Decatur GA Meineke #505 to speak with a tire repair professional. Damaged tires and wheels are a potential hazard that can be completely avoided with proper maintenance. If you ignore tire pressure issues or put off your search for "tire repair near me," you are placing yourself, your vehicle's occupants and everyone you pass on the road in danger. Without properly maintained tires, your tires could explode while you are driving, causing you to lose control. Contact Meineke #505 in Decatur, GA for information on tire repair and tire pressure sensor replacement. If the tire pressure sensor light illuminates on your vehicle's dashboard, should that be an automatic sign that your tires need to be replaced? Not necessarily. Depending upon the current condition of your tires, a simple repair may be all that needs to extend their life and save you money. How are you to know? Finding out for yourself literally only takes a penny. Insert a penny into the tread of your tires, with President Lincoln's head facing downward. If any part of his head is hidden by the tread, your tires can still be used. If the dashboard light continues to go off, you may want to consider a tire pressure sensor replacement. 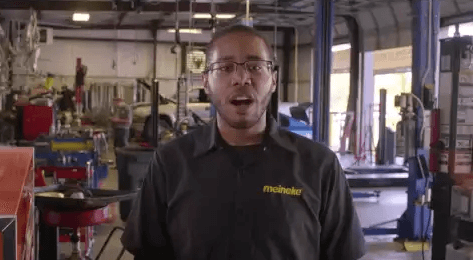 Any tire-related questions you may have can be answered by our friendly staff at Meineke #505 in Decatur, GA. If you're in need of new tires, you probably have concerns about the actual cost of tire replacement. While worn tires increase your risk of performance and stability issues on the road, that doesn't make affording new tires any easier. Fortunately, we at Meineke in Decatur, GA can. 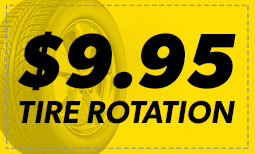 Once you have your new tires, be sure to make frequent visit to our Meineke #505 web page. We frequently post repair and tire rotation coupons there. This is our way of rewarding the trust you place in us.